Acting on a complaint by Bulgarian ecologist organizations, the European Commission has decided to initiate a procedure against Bulgaria over its failure to fulfill its obligation to issue an integrated permit to the Kremikovtzi iron and steel works by October 30, 2007, and the pollution caused by the steelmaker, Ecoglasnost National Movement Deputy Chairman Peter Penchev told a news conference at the BTA National Press Club on Tuesday. Deputy Environment Minister Chavdar Georgiev told the press in late February that a decision on whether Kremikovtzi would receive an integrated permit would be taken by October 23, 2008, BTA points out. Ecologists asked for the immediate closure of the works, expressing fears that a re-sale of the enterprise will lead to yet another delay in the adherence to environmental standards. They argued that the social impact of the closure would be offset by the acute shortage of manpower for construction in the capital city. They recalled that under Ordinance No. 1 of June 27, 2005, as from January 1, 2008 a polluter may not work for more than eight straight hours if the emission limit values are exceeded as a result of its operation. The ecologists see this as yet another reason to close down Kremikovtzi. The drive for the closure of the iron and steel works, seen by ecologist and political organizations as Sofia's worst pollution source, has been spearheaded by Sofia Mayor Boiko Borissov. On July 27, 2007 Borissov, in his capacity as private individual, alerted the European Commission's Environment Directorate-General that Kremikovtzi pollutes the air, water and soil in the area at double to quintuple the limit values. The emissions contain dust, lead, sulfur dioxide, nitrogen oxides, carbon monoxide and general hydrocarbons. An analysis of the results of an ambient air quality measurement showed fine particulate matter of treble to sextuple the average diurnal limit value, Borissov's complaint noted. In late November 2007, Environment and Water Minister Djevdet Chakurov said that, despite pressure from the trade unions, which have threatened to take strike action, Kremikovtzi will not be issued an integrated permit unless it presents a serious environmental investment program and proof of its implementation. He recalled that Kremikovtsi was refused such a permit because it did not meet fundamental requirements for bringing its production into line with environmental criteria. The company must reach EU standards by 2011. National dailies recently quoted Borissov as saying that he will initiate the steelmaker's phased closure procedure as early as January 2, 2008. According to the Mayor, the sintering, flotation and blast furnace shops, which generate most pollution in the area, must go out of operation over the next four years. The Environment and Waters Ministry is working in such a way so as to avert invoking legal proceedings and imposition of sanctions against Bulgaria over delays in issuing of all integrated permits by October 30, 2007, the Ministry said in a statement released Tuesday. 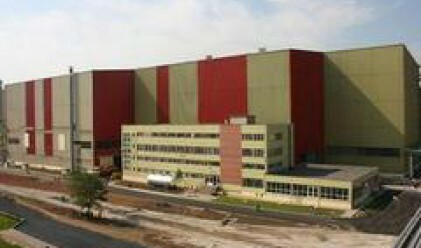 The statement is prompted by media publications that the European Commission has decided to initiate a procedure against Bulgaria over its failure to fulfill its obligation to issue an integrated permit to the Kremikovtzi iron and steel works by October 30, 2007, the deadline set in the acquis communautaire. Environment and Waters Minister Djevdet Chakurov stresses in the statement his Ministry's commitment to continue to inform the European Commission on this country's meeting the requirements of Directive 96/61 concerning integrated pollution prevention and control. Bulgaria's permanent representation with the European Commission informs, quoted in the Ministry's statement, that the College of Commissioners has not taken a decision to open an official procedure against Bulgaria under Article 226 of the EC Treaty.